In this episode, we explore the question “Does a full moon have an affect on us?” We explore that big beautiful goddess’s decapitated head in the night sky. 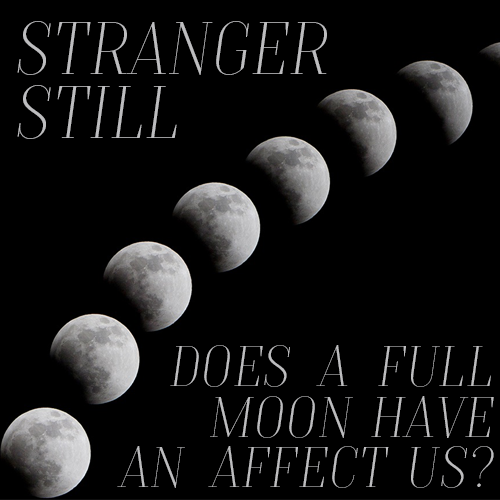 The moon may change the way we act, but you’ll have to tune in to find out how. Those moon tides though, how do those work? Join us in learning about the Earth’s natural satellite and laughing along the way!